Upon arrival, deputies met with a W/F in her mid-teens who had run to a neighbor’s house for help. The individual appeared to have gotten “spooked” at the Walmart in Brooksville and proceeded to the Walmart on Cortez Boulevard, before travelling to the Walmart on Commercial Way. During one of the attempts, an alert customer who was behind them at the check-out questioned what they were doing, scaring the suspects out of the store, empty handed. On 11-01-18 just before 5:30 p.m., Hernando County Sheriff’s deputies were dispatched to the area of 6917 Treehaven Drive in Spring Hill after dispatchers received calls regarding a large group of people beating an elderly gentleman. The elderly gentleman was reportedly bleeding from his face. Upon arrival, deputies contacted the person who called 9-1-1. The caller advised that she observed a large crowd of people standing around an elderly Asian man in the roadway. She then observed two males striking and pushing the victim while the two females pushed the gentleman’s bicycle. The caller stated that she was in fear for the elderly gentleman’s life, so she pulled to the side of the road and contacted 9-1-1. After being notified that “law enforcement was on the way,” all suspects fled the area. Deputies conducted a thorough check of the area and were able to locate the individuals who battered the elderly gentleman. Deputies then made contact with Joshua Rhoades who resides at 6917 Treehaven Drive. Rhoades advised that while they were leaving his residence, they observed “a random guy digging through the neighbor’s trash.” Rhoades went on to say that he and his buddy, Lee Petit, contacted the elderly male and asked what he was doing. According to Rhoades, the elderly male then “came at them” and began yelling at them in an unknown language, eventually throwing trash in Rhoades’ yard. Rhoades went on to say that the elderly gentleman went toward the front of the residence and “began messing with our stuff.” Rhoades reportedly told the elderly male to leave the property, at least four times. When the elderly male did not leave the property, Rhoades reportedly took the man’s bicycle and started to walk it off the property. Rhoades told deputies that while removing the bicycle from the property, the elderly male “flattened my mailbox” and “whipped out a stick,” all the while attaching Rhoades’ friend, Lee Petit. Rhoades said that Petit defended himself, but would not elaborate. Rhoades stated that he did not strike, nor had he been struck by the elderly male and that all he and Petit wanted was for the elderly male to leave the property – but the elderly male began attacking them. Deputies then spoke with Lee Petit. Petit advised that he and Rhoades watched the elderly male digging through his trash cans, which were located next to the house, near the front door. Petit advised that after the male refused to leave the property that he forcefully removed him by walking the bicycle down the driveway towards the road. Petit said the male then produced a “metal stick” and began striking Petit with it. Petit reportedly found another stick and defended himself. Petit told deputies the man bashed the mailbox down with the metal stick. When deputies confronted Petit about the tire tracks across the actual mailbox and on the ground around the base of the mailbox, Petit recanted his story. Rhoades also recanted his version of the story regarding how the mailbox got knocked down. Petit then told deputies he stuck the elderly male with a stick, only after being struck by the elderly male first. 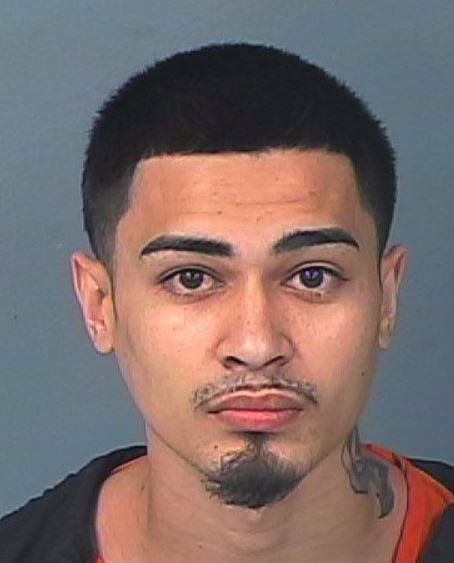 He went on to say that he used the mailbox stand to “create distance” and to strike the elderly man. Deputies then attempted to speak with the elderly Asian male (71 YOA). He spoke very little English and was difficult to understand. Deputies noted that he had a large laceration across his right eyelid, and blood running down his face. Several abrasions were noted on his face, hands, and the inside of his right leg. The victim was transported to a local hospital by Hernando County Fire Rescue for treatment of his injuries. After several failed attempts at utilizing a language interpreter to communicate with the elderly gentleman, deputies were able to locate a family member. The family member responded to the hospital and translated ancient Mandarin to English. The victim stated that he was on his bicycle in the area of Pinehurst Drive when he was attacked by strangers, for no apparent reason. He stated he was looking at a piece of carpet that was on the side of the road when he was approached by two strangers in a vehicle. When the strangers began yelling at him, he tried to walk away. The strangers got out of their car and ran toward him in an aggressive manner. Being that one of the strangers had a stick, the victim pulled out a small metal pipe to defend himself. One of the strangers (Petit) started striking the victim in the body with the stick, then threw a large plant pot at him. At this time, the victim became separated from his bicycle. The victim stated that he tried to leave the area (get on his bicycle) several times but the strangers would not allow it. During the incident, the victim was punched several times and had several items thrown at him. One of the two strangers took his bicycle and threw it down the road. The victim stated that he was calling for help the entire time, but it appeared that no one heard him. The victim confirmed that Petit was the only one who struck him and the only one who deprived him of his bicycle. Neighbors in the area corroborated the victim’s version of the story and provided video surveillance footage to the deputies. The surveillance video also confirmed the victim’s version of the events that occurred. – Total Bond – $12,000. 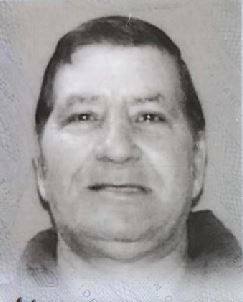 Gary J. Zarcone was last seen on 10-29-18 at approximately 2 a.m., when he walked away from his residence on Heathwood Avenue in Spring Hill. Mr. Zarcone has been diagnosed with Alzheimer’s and Diabetes and he has a pacemaker. He does not have any of his medications with him. Last seen wearing – Red T-Shirt, Blue Jeans and Gray Shoes. Mr. Zarcone walked away from his residence at 2 a.m. this morning. He has been gone quite some time and could be anywhere by this time. He may not be in the immediate area of his residence. We ask all residents to take a look around their property, under shrubbery, in garages or sheds, old cars, etc. to see if he has taken refuge in one of these places. If you have seen Gary Zarcone or know his current whereabouts, please call the Hernando County Sheriff’s Office at 352-754-6830 or your local law enforcement agency. Thank you. 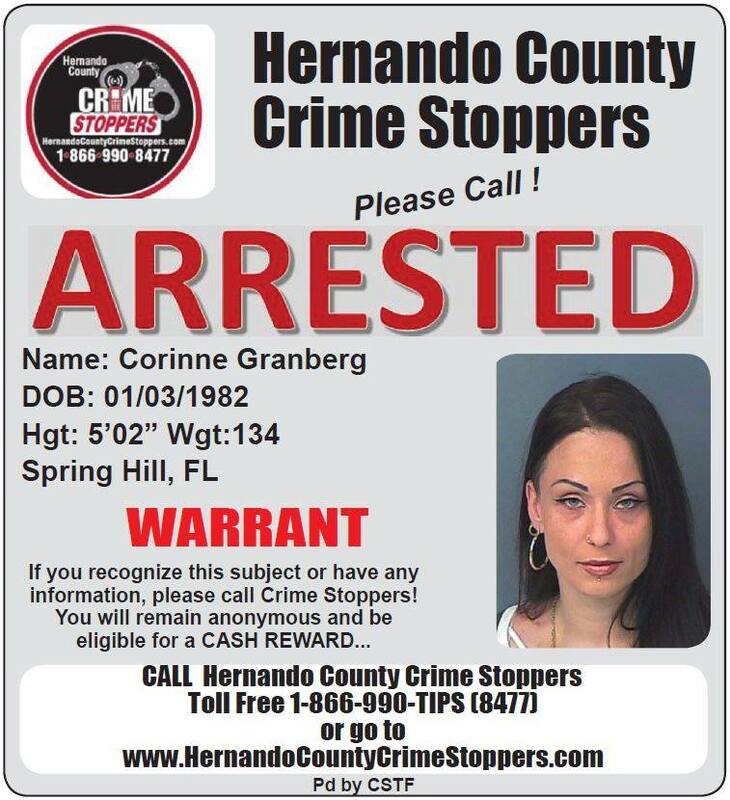 On 09-14-18 at just before 8 p.m., Hernando County Sheriff’s deputies were dispatched to the area of Long Hill Court in Spring Hill regarding a disturbance. Upon arrival, deputies spoke to the victim, Joshua Swisher, who advised that he was assisting his brother Joseph, in delivering medication. Joseph works for a pharmacy in New Port Richey, and the brothers were delivering medication to patient’s homes. When the pair arrived at an address on Long Hill Court in Spring Hill with a delivery, Joshua waited in the vehicle while Joseph went to the door with the medication. Moments later, a male, later identified as James Richard Newcome, approached the driver’s side of Joshua’s vehicle asking Joshua what he was doing and why he was there. Newcome then reached into his pants pocket and pulled out a handgun. While Newcome did not point the handgun at Joshua, he did say that he was licensed to carry it and was protecting the neighbor’s property. Newcome then reached into Joshua’s vehicle and took Joshua’s cell phone that was sitting in his lap. Newcome put the gun back in his pocket then walked to the front door of the residence where the medication delivery was being made. Newcome spoke to his neighbor briefly and gave him Joshua’s cell phone, so he could return it to Joshua. Newcome then went back to Joshua’s vehicle, again producing the handgun, again asking why he was there. Newcome then returned to his own residence. Fearful of the gentleman brandishing a weapon, when Joseph returned to the vehicle with the cell phone, Joshua contacted the Hernando County Sheriff’s Office. 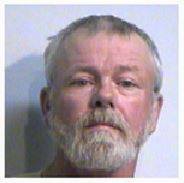 When deputies arrived on scene, Newsome was very uncooperative and retreated into his residence, refusing to exit. Newsome’s wife, Umaima Newcome was also inside the residence. Umaima Newcome was also uncooperative with law enforcement, and refused to exit the residence. During the investigation, James Newcome continually called 9-1-1, advising operators that he would “take care of this in the morning” and insisted that deputies leave his property. James Newcome continually stated that he was not going to come out of the residence and that he and his wife were tired of people looking into their windows. The SWAT and CRT teams were activated. (Brooksville, FL) The Florida Department of Health in Hernando County announces that the swimming advisory has been lifted at Pine Island Beach, located at 10840 Pine Island Drive in Weeki Wachee. On today’s date at approximately 3:27 p.m., Deputy Tonya Shutt conducted a Traffic Stop on a grey GMC Sierra on McKethan Road, south of Cortez Boulevard, almost to the Pasco County Line. Deputy Shutt approached the vehicle, on the driver’s side, to speak with the driver and obtain a driver’s license, registration, and proof of insurance. Almost immediately, at 3:28 p.m., the driver began to flee from the stop, dragging Deputy Shutt for a short time/short distance. Deputy Shutt advised over the radio that the driver fled, southbound toward Pasco County, that she had been dragged by the suspect vehicle, and was in need of medical attention. Backup units and Fire Rescue were dispatched immediately. With assistance from the Pasco Sheriff’s Office, the vehicle and driver were located moments later at a location in Pasco County. Deputy Shutt, 48, was transported to a local hospital with injuries that are considered non-life-threatening.